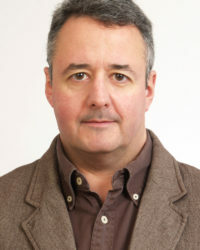 José Rúas-Araújo is a specialist in mass media and associate professor at the Social Sciences and Communication School of the Universidad de Vigo, Spain. He has an experience of more than ten years as a journalist and fifteen as a professor. He holds a PhD in Communication from the Universidad Complutense de Madrid, Spain. His lines of research focus on political, electoral and government communication, neuroscience applied to social science and persuasion, discourse analysis, internet, and social networks with differents publications about current issues such as post-truth and the manipulation of information. In addition, he works in different competitive research projects about politics and media, one of them has recently been awarded by the Government of Spain (Ministry of Economy and Competitiveness, REF: CSO2017-83159-R) on “Political Debates on TV and Social Media,” of which he is the principal researcher.